Our paradigm at KRYPTON is relatively simple. We want to be independent in deciding what we do and when we do it. 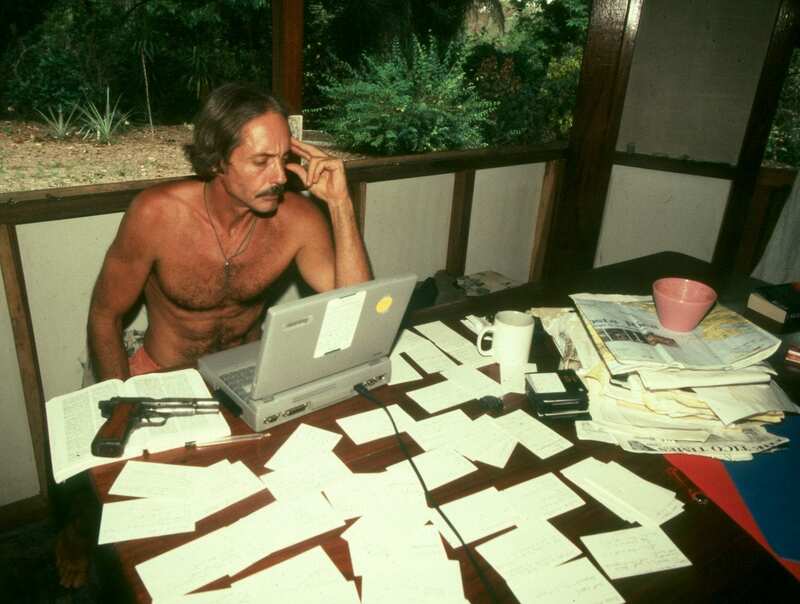 Naturally we all live in a time system. But apart from this physical-theoretical time-scale, the time is relative for each one of us. 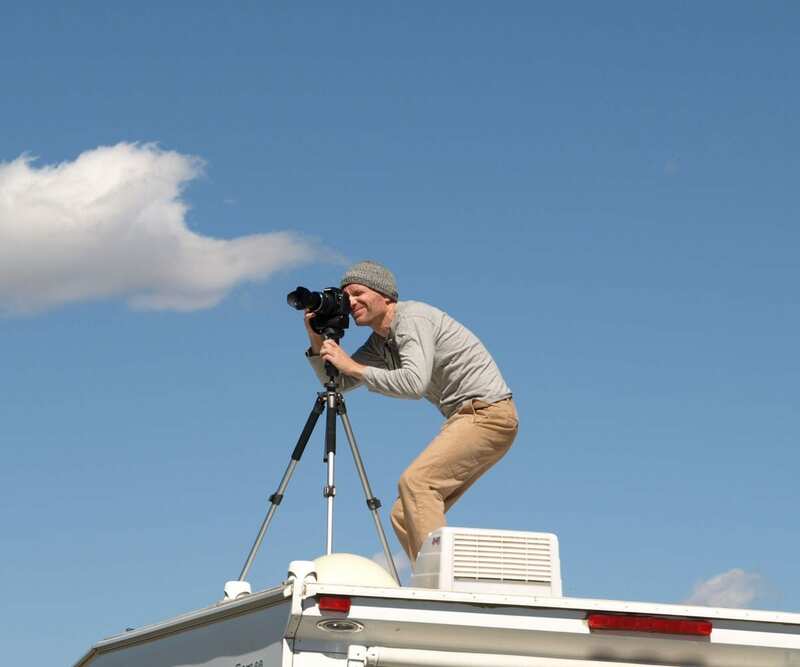 Therefore only the individual point of view is relevant. In 1935, the physicist Erwin Schrödinger published his thought experiment for the very first time, which later became known world-wide under the designation "Schrödinger's cat”. In this paradox, a cat can be - according to the rules of quantum mechanics - in a so-called superposition state, in which the cat is alive and dead at the same time. 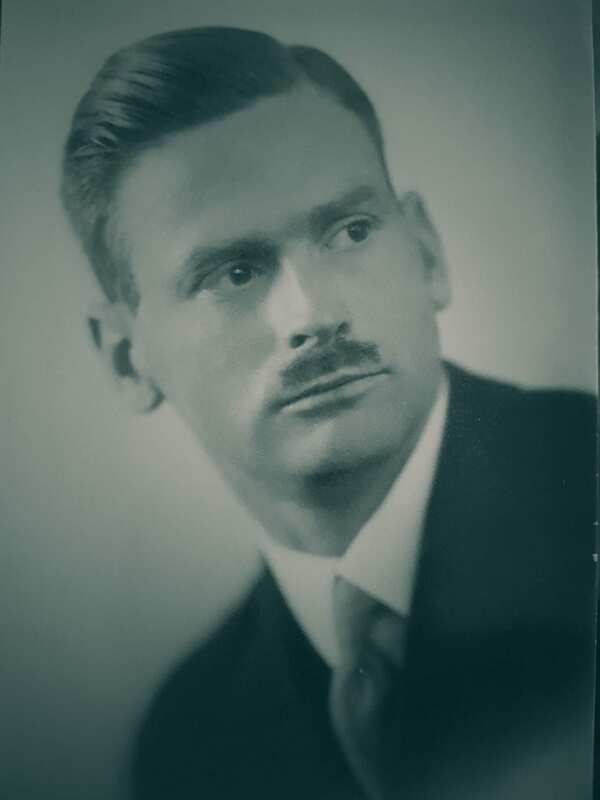 In the same year my grandfather Kurt Löhner was in Munich as chief developer at BMW working on his patent of the so-called centrifugal separator, he also looked into the KRYPTON rare gas as a working medium in connection with the centrifugal force. Decades later this became the inspiration for the brand name. Ultimately this fits very well with our brand core, because KRYPTON is monatomic and does not interfere with other elements. 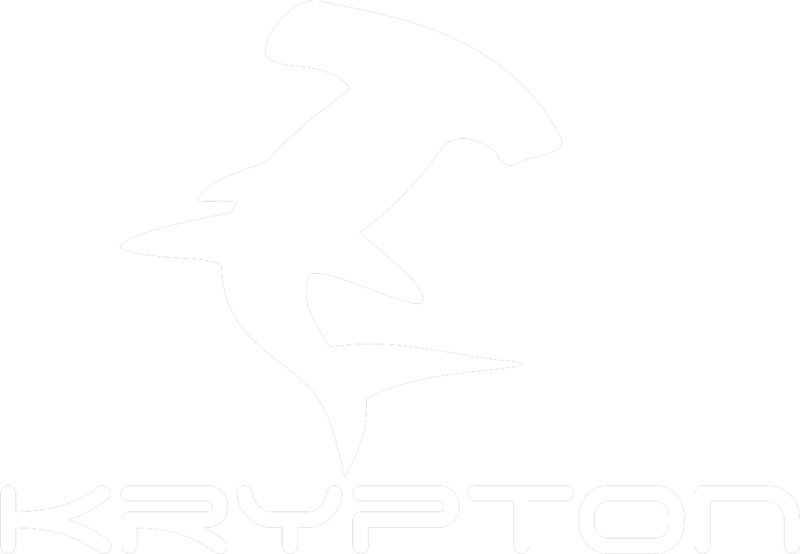 In this sense, KRYPTON is a lone wolf and therefore independent. 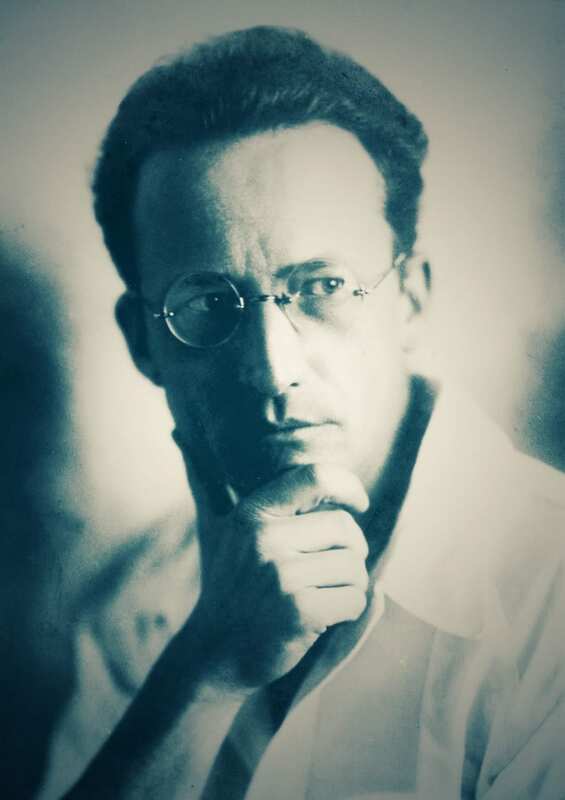 1936 my grandfather met Erwin Schrödinger after a lecture at the University of Graz. 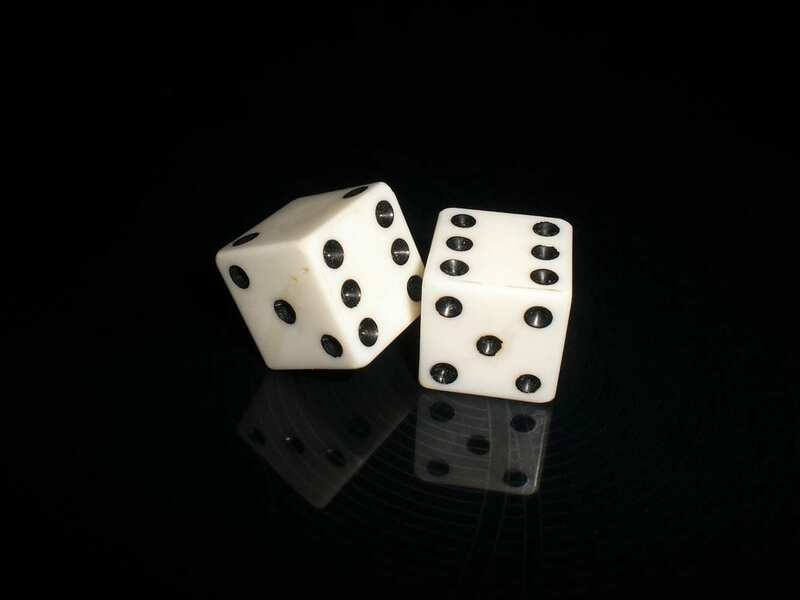 In a conversation not even fifteen minutes long, Schrödinger once more realized that he thought Albert Einstein's approach - that "God does not play dice" and that a clockwork must be at the very bottom of all things - is standing on shaky ground. On the way back to Munich, my grandfather thought about Schrödinger's remarks and noted for himself, that the reality that should function as a calculable clockwork, would be a concept that challenges the decision-making capacity of man and his free will. As my father told me, my grandfather thought that, following Schrödinger's cat experiment, such a clockwork, which determines fate and excludes coincidence can, and simultaneously can not, exist in a superposition state. A thought I could not immediately comprehend to be honest. 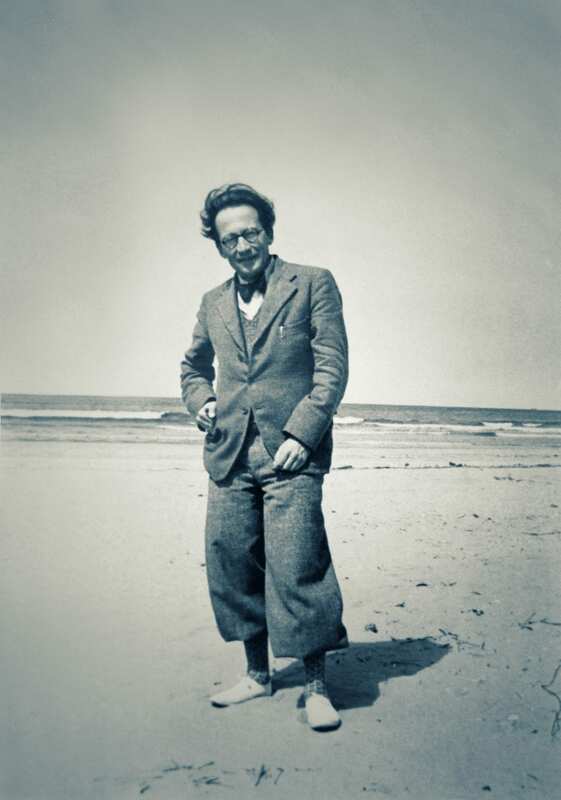 In 1938 the German troops marched into Austria and Erwin Schrödinger left the country disguised as a holiday traveler. 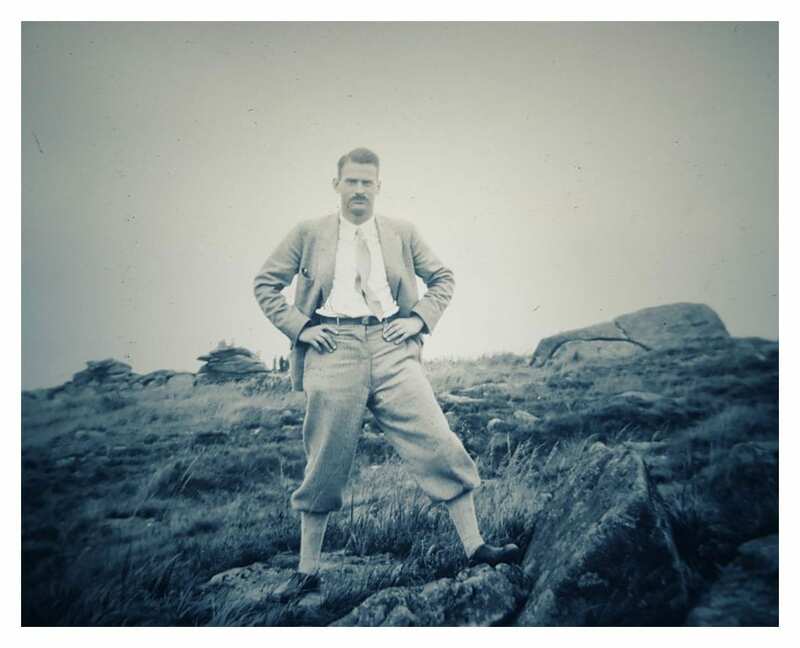 My grandfather at that time was absolutely absorbed by his work. In 1938 he started development on the Turbojet for BMW. 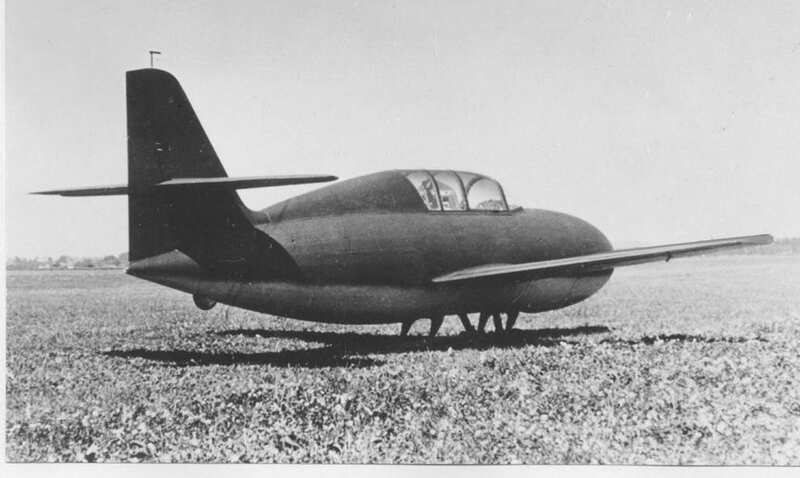 Until 1942, the single-shaft jet engine was developed by BMW under the leadership of my grandfather, Kurt Löhner. After starting the first flight tests in 1941 however, he saw the danger that his developments might be militarily misused so he decided not to put his service into the development of the Turbojets any longer, and moved with his family (amongst others with my father Ingolf) to Braunschweig to become active in scientific teaching. In Braunschweig a professorship has been awarded and he headed the Institute for Internal Combustion Engines at the Technical University. 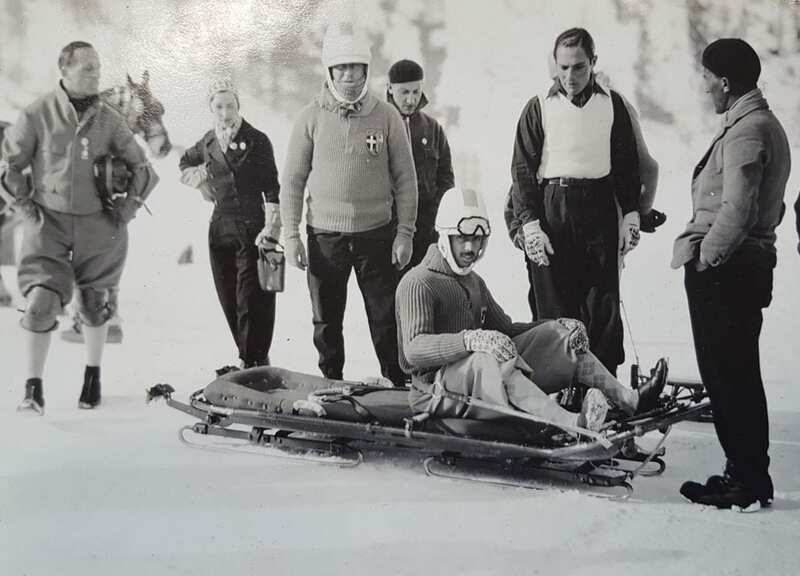 The proximity to the Harz was a lucky chance because after the war he was able to live out again his passion for bobsleighing. When I was seven years old my grandfather died in the year 1978. 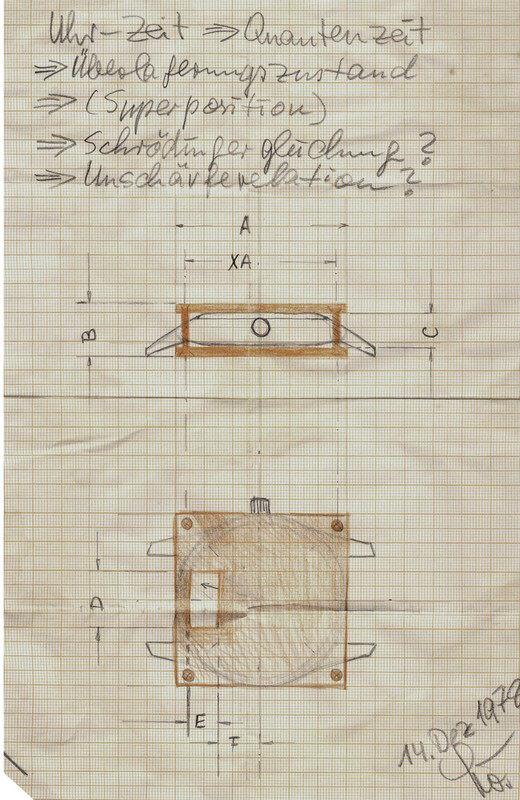 That same year my father, who worked as a junior engineer at Volkswagen in Wolfsburg, finished the following draft. This blueprint based upon his memories of the various conversations he had with his father. His father had often told him enthusiastically about his meeting with Erwin Schrödinger, and also about the idea of a clockwork that existed and at the same time did not exist. 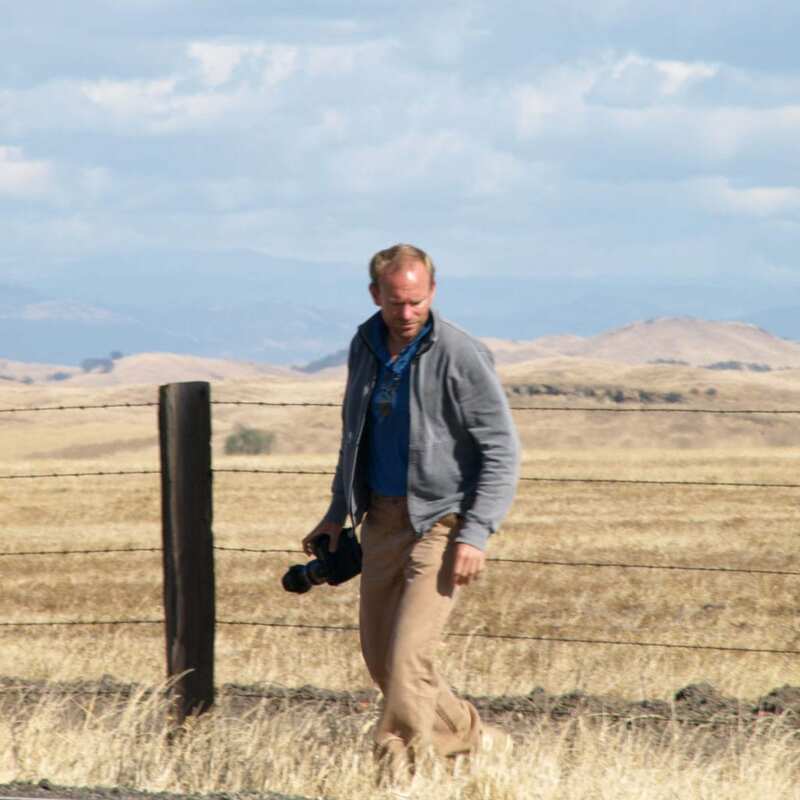 In 1981 my father Ingolf Löhner was working for Volkswagen in California to work on the issue of an "environmental friendly diesel" (something that should not be mentioned at all today with regard to Dieselgate and other affairs). 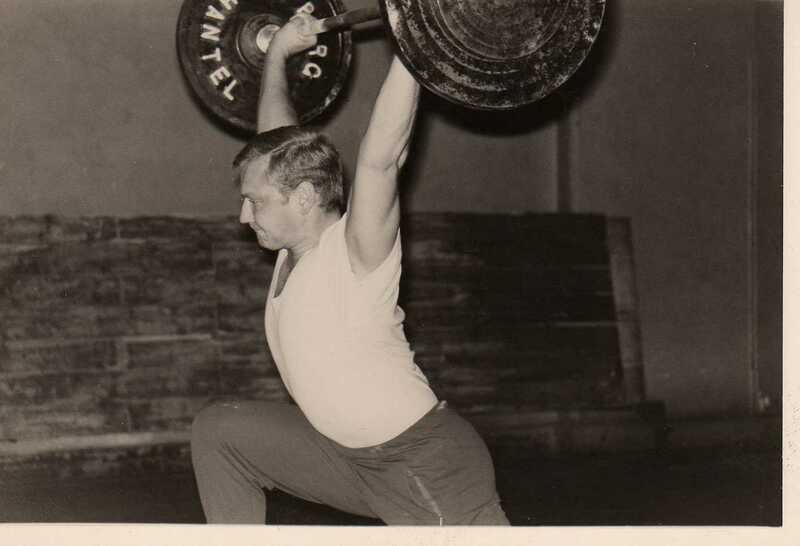 As a former participant in the German Weightlifting Championships, he spent his free time working out at Venice Beach. There - under the California sun, as I imagine it – he prepared a second blueprint of a watch that unfortunately no longer exists today. He then marked it with the words "when times get tough". 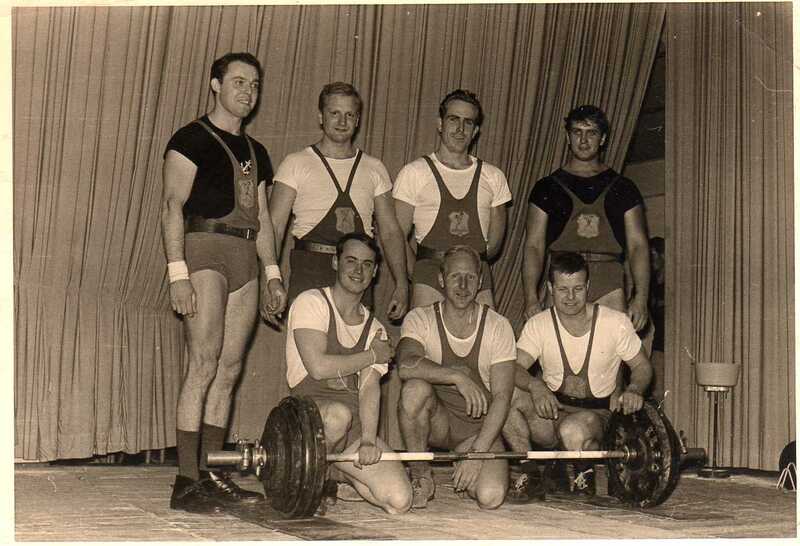 In fact the subjects of time and heavy weight-lifting seem to have paired. Ultimately this wording is now the KRYPTON claim. 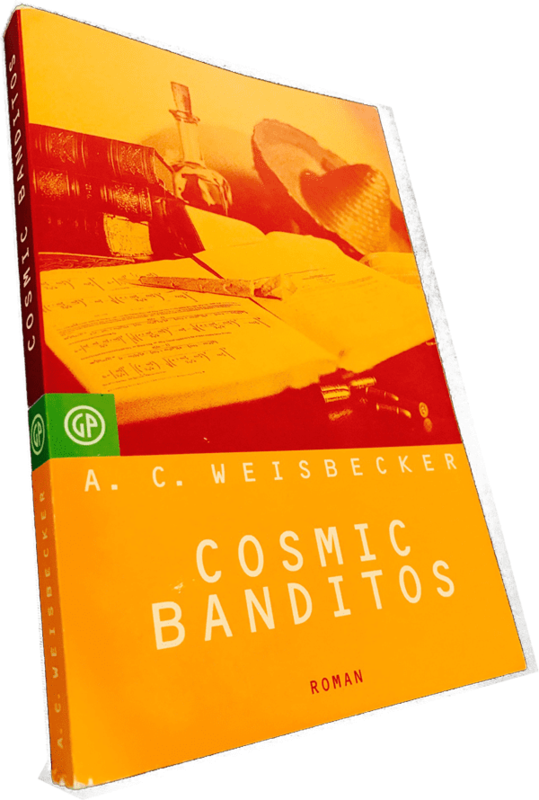 In 2001 a friend asked me whether I was going to look with him for the author A.C. Weisbecker in order to publish his first novel "Cosmic Banditos" in Germany. After reading the novel which was also about Quantum Mechanics and Schrödinger's cat, we flew to Montauk in order to meet with the author. After various discussions about the multiple-worlds theory and some joint bottles of rum, we could finally convince Weisbecker that we were the right people to publish his books in Germany. In 2014, I met again with my former publishing partner in Braunschweig, and we were reminiscing about the old days, when we thought back to a chapter in the first book that we had published. 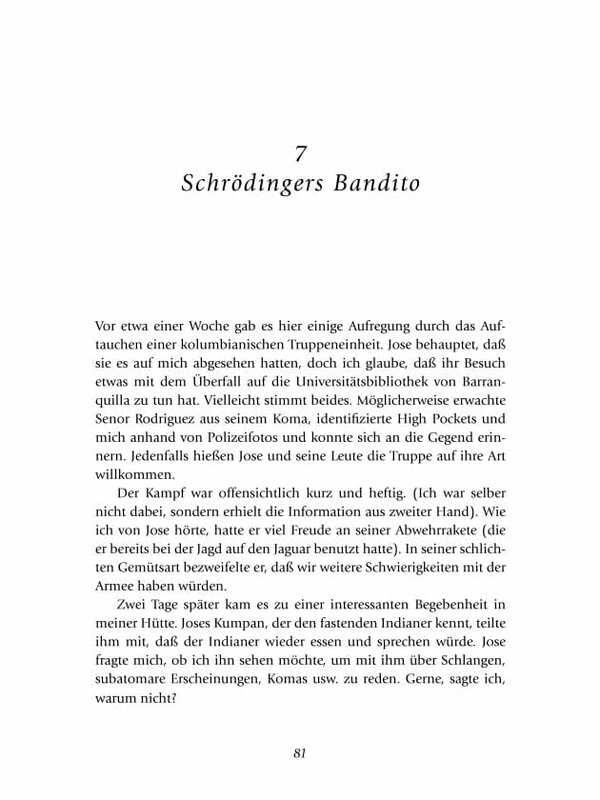 The chapter is named: Schrödinger's Bandito. 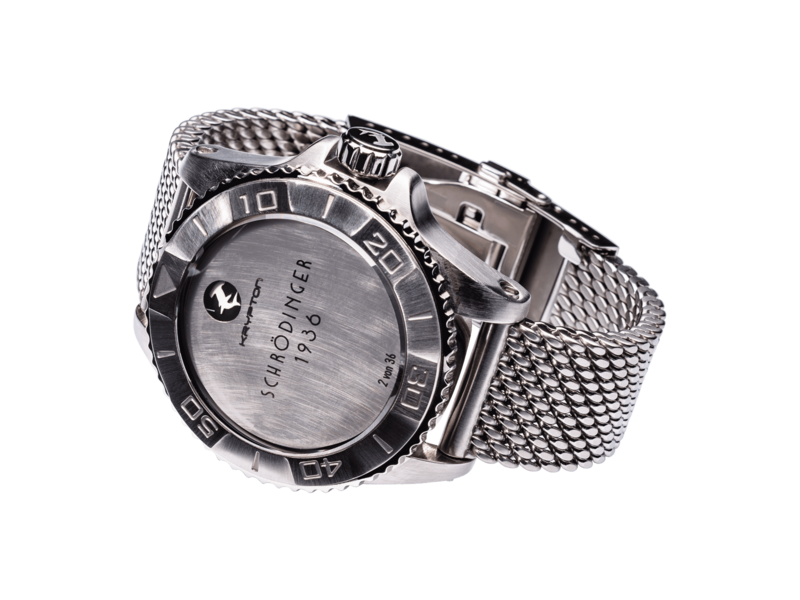 When I spoke about the meeting of my grandfather Kurt with Erwin Schrödinger and the course of the story, the idea of KRYPTON Watch was born. I was able to allure my father who now contributes his experience and even his sometimes strange engineering notions, too. 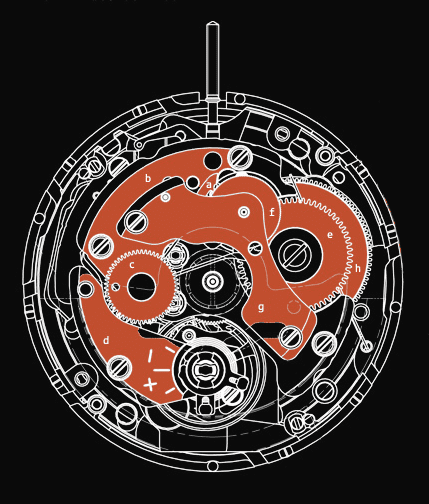 After exactly 80 years, we finally managed to turn the idea into a product: This watch is a tribute to quantum physics and makes the reading of time impossible. Time is not only relative but we perceive it quite differently. We can not believe how long the second hand needs to return to the visual field after 60 seconds. You get the feeling that time is stretching (and that even though we use Swiss precision movements). 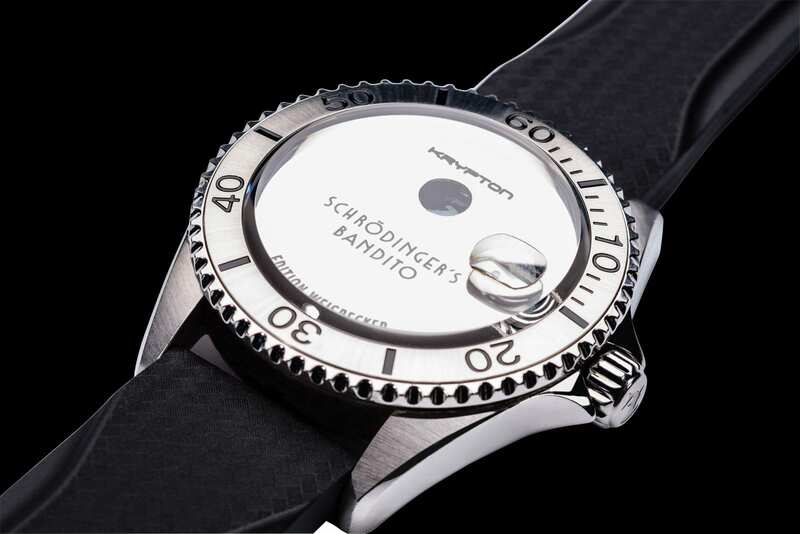 The Schrödinger 1936 was launched in November as a Limited Edition. Even more limited, the unique copy which we have built for our fellow Allan Weisbecker. It will remind him that he should always be true to himself. 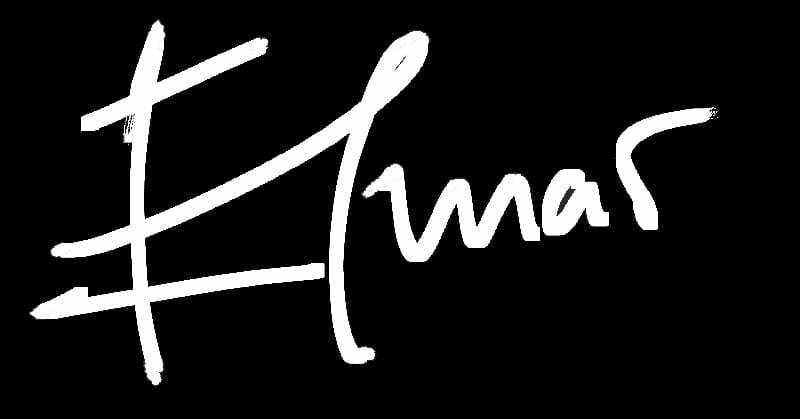 He is independent in what he does and he decides for himself when he does it. And is this not something we all strive for?